Lightning is the handsome son of +*B SG Jacobs Pride Cloud Chaser(LA91) and SG Jacobs Pride Yo Ms Hi Society 8*M(LA90). 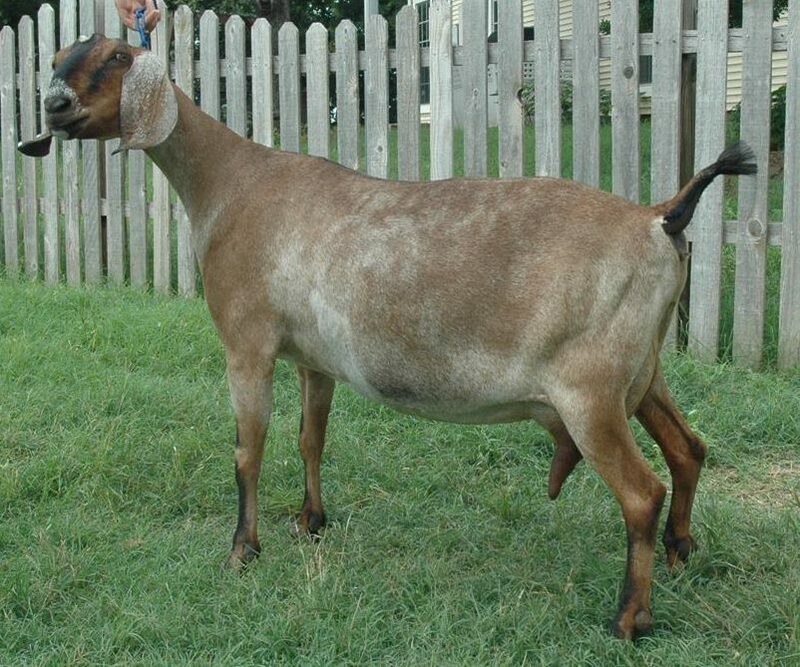 He combines the best of Jacob’s Pride lines in a top son of Bernice and a top daughter of Yonina. "Hi Society" (Heidi) is also a Kastdemur’s MPR Liaison grand daughter! His daughters milk very well, with all that we've retained obtaining their stars on their first lactations. We are very excited to see some beautiful and consistent mammary systems on his daughters (high, wide and well attached). 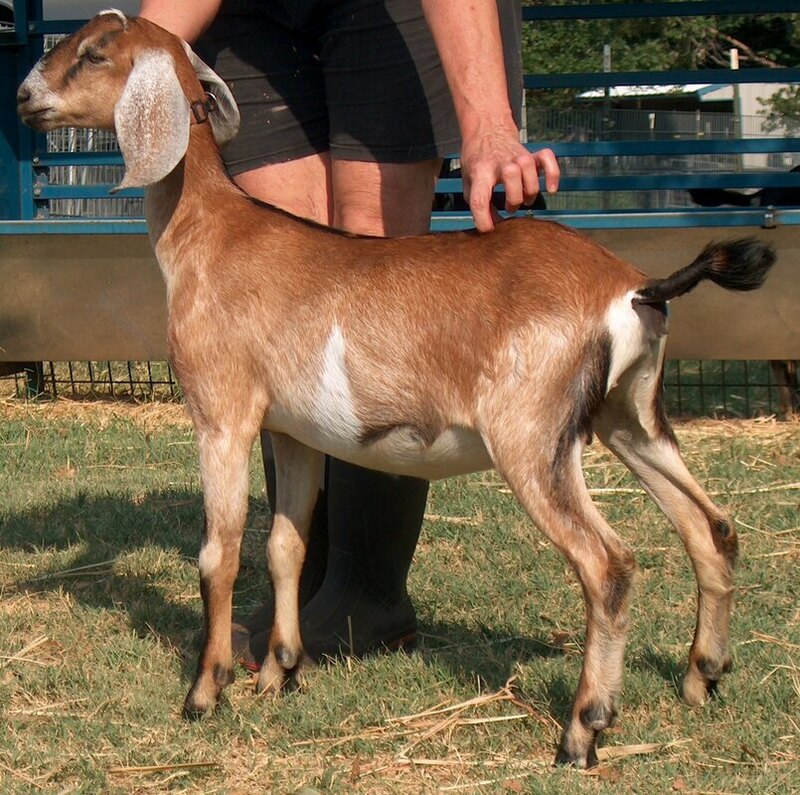 His daughters also do well in the show ring. 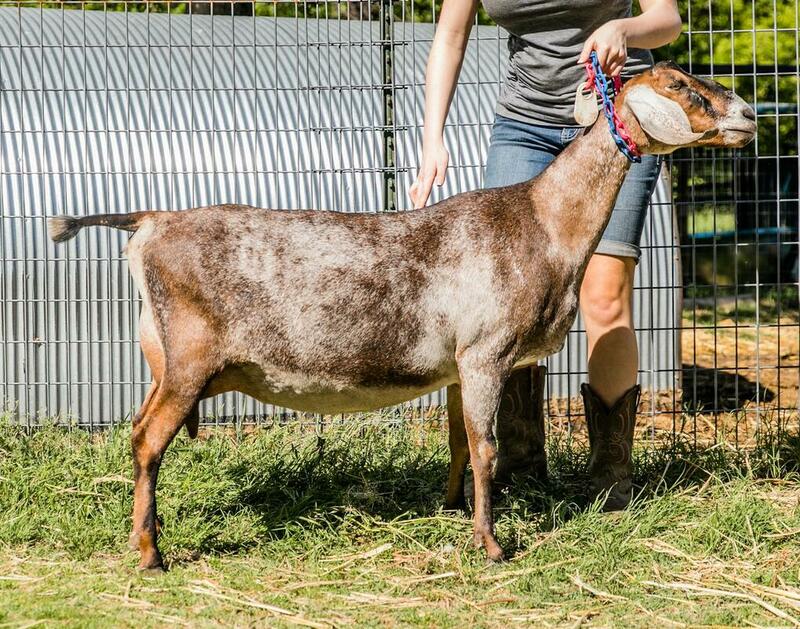 Louise, was BEST JUNIOR DOE in SHOW at the 2010 Fort Worth Stock Show and in 2012, Thelma (Louise's sister) finished her PERMANENT Champion title and is also our FIRST SGCH doe !! Imagine how pleased we were when he appraised at over 7 years old at a 90 (EEV). Isabella finished her GCH by going BDIS while in extended lactation. His last daughter Journey will be joining the big girls in the milk parlor in 2019. Sadly we lost Lightning in October of 2018, just a few months shy of his 12th birthday. We certainly miss his sweet, kind and loving personality but see that coming through in the temperaments of his daughters. We will continue to use him through the miracle of AI as he was truly a "once in a lifetime" buck!